The cemetery is part of a federal land grant which also established the city of Jackson as the official site of the Capital of Mississippi on November 21, 1821. It was formally designated by the state legislature effective January 1, 1823. The original six acres were known simply as “the graveyard” and later as the City Cemetery. It was officially designated Greenwood Cemetery in 1899. An early map (1822) showed the area of what is now West Street as vacant land indicating that the cemetery was not yet within the city limits which ended at High street. Over time the six acres was extended northward from George to Davis Street, delineated on the west by Lamar and on the east by West Street. 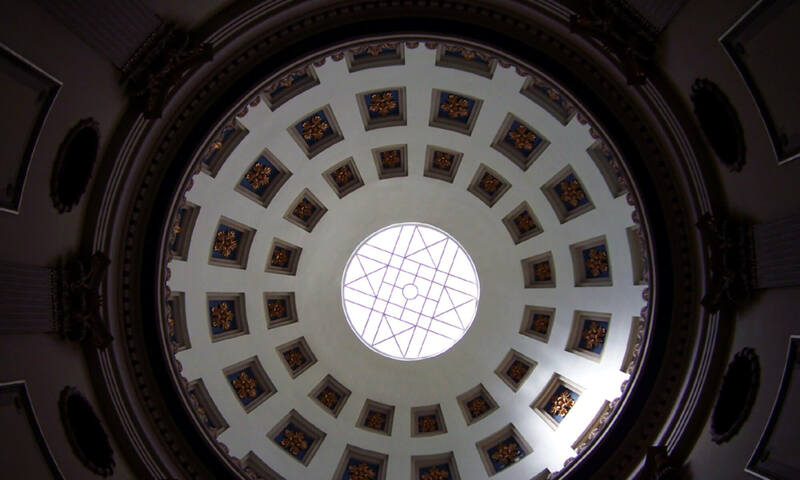 Interviews with Cecile Wardlaw, president of the Greenwood Cemetery Association, and Peter Miazza in 2013 provided a wealth of information on the early days and development of the cemetery. “There are 330 unmarked graves at the original south end of the cemetery,” Mrs. Wardlaw related, “with the estimated number of all graves today being 5,000.” The oldest known surviving marker with a date is Governor Abram Marshall Scott who died June 12, 1833. 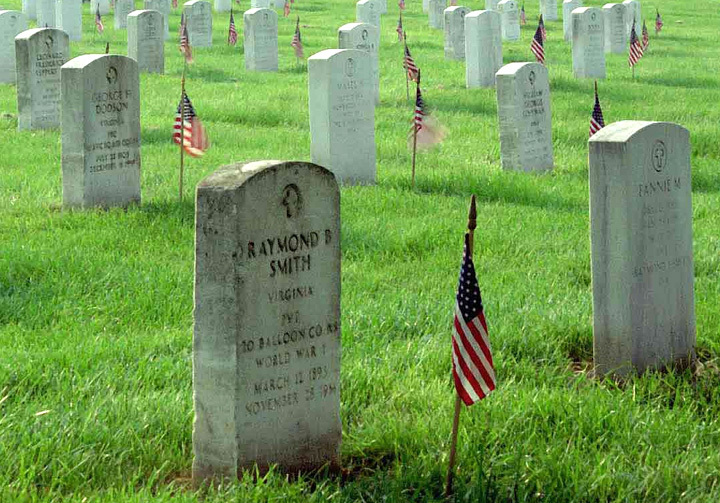 There are an estimated 2,200 monuments posted on the Find a Grave website. 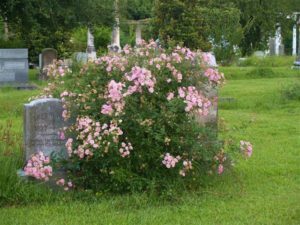 The city of Jackson owns the cemetery but much of the maintenance is done by the Cemetery Association which also raises funds to repair and perform landscaping work. Various volunteer groups including local Boy Scouts, AmeriCorps, the Phi Theta Kappa honorary fraternity at Mississippi College and various neighborhood groups have donated time to keeping up the facility. The Brookhaven Monument Company is the primary source of stone repairs. A number of Jackson’s first families have been interred in the cemetery. Marian Dunbar, first pastor of Mt. 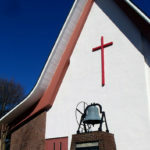 Helm Baptist Church is there. It was named Helm because Thomas Helm contributed the lot for the church and gave the church money to help with construction. According to its website, Mt. 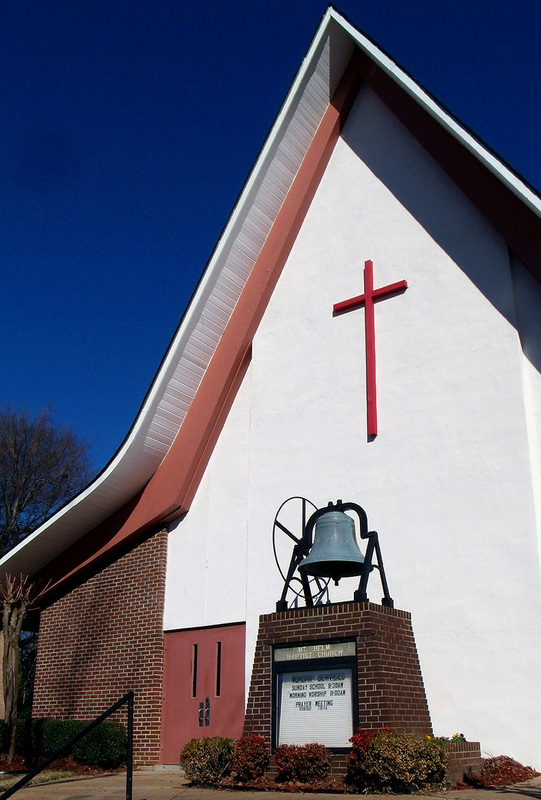 Helm, Jackson’s oldest African American church began in 1835 with several enslaved African Americans who worshiped in the basement of the First Baptist Church. It became a separate body in 1867, the year the 13th Amendment was ratified. A modern version of the structure may be seen today at 300 E. Church Street near the west side of the cemetery. In addition to Miss Welty and Mayor Boyd, other Jacksonians of note interred in Greenwood Cemetery include Millsaps College founders Colonel William Nugent, Bishop Charles Betts Galloway, and Dr. William Belton Murrah, who served as the college’s first president; Dr. Lewis Fitzhugh, first president of Belhaven College; founders of the Baptist Hospital Harley R. Shands, M.D. and John Farrar Hunter, M.D., Reverend John Hunter, pastor of First Presbyterian Church (1858) and R.H. Henry, founder of the Jackson Clarion-Ledger. 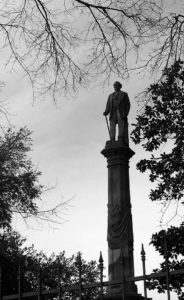 Monuments are plentiful for many early Jackson families including the Yergers, Spenglers, Greens, Poindexters, Lemons, Virdens, and Miazzas. Monuments range from barely noticeable to imposing. In the circle by the cemetery’s summer house, is the monument of Rev. Amos Clever, an Episcopal priest, who died in October 1853 from yellow fever. Five years after his death some women took up money for this monument. The exact location of his grave is unknown so his marker was placed where it is today. The widow Clever had a girl’s school in a frame building where St. Andrews Episcopal Church stands today at S. West and E. Capitol Streets. In 1854, she sold the school to the state for its first school for the deaf. There is also the “Weeping Lady” (Sarah Ann and George Lemon plot), the Hilzheim lot framing structure, which looks like a church, and the “Angel Tombstone” in the Poindexter lot. The most interesting monuments have stories associated with their namesakes. Lawrence Saunders was a professor at the deaf school which was then across the street from his mother’s house near Barksdale and North State Streets. On Christmas night in 1895, he dressed as Mrs. Santa Claus to entertain the students. Saunders was on his way to the school and stopped by his mother’s home to show her his costume but the front door was locked. He let himself in through the back gallery. The only person home was his nephew who awoke to discover a strange presence. He shouted “stop or I’ll shoot.” Unfortunately, Lawrence, being deaf, did not hear the warning and was killed by his own kinsman. It is never a good idea to shoot Santa Claus. 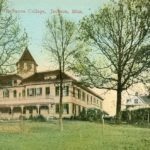 An unnamed small girl lived in Jackson during the mid 1880’s. Her family moved from the capitol city to Oxford where the child died. She was buried in the Simms plot which may be seen north of the summer house to the right of the circle. 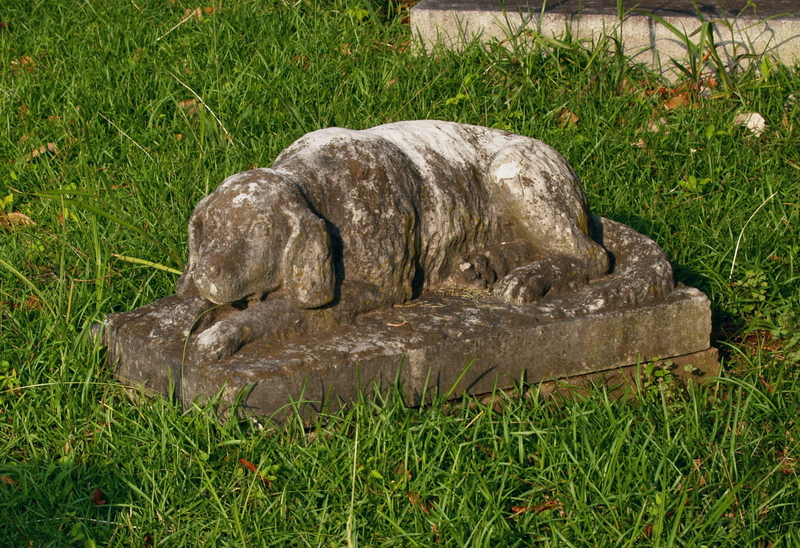 It is said her small grief-stricken dog would not leave her grave and died at its foot a short time later. His likeness remains to guard his mistress through the portals of eternity – faithful to the end. Dr. Samuel Cartwright was well known for his work and writings to control the great yellow fever and cholera epidemics. During the Civil War, he was charged with getting rid of dysentery in the Confederate military camps but he contacted dysentery himself and died in 1863. The carving of “the Good Samaritan” on his tombstone attests to his sacrifice and may be seen on his marker today. 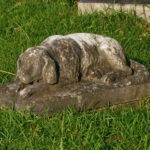 A movie scene filmed in Greenwood Cemetery was based on Willie Morris’ 2000 novel My Dog Skip, and represents the witch’s tomb in the Yazoo City Cemetery which depicted one of the characters going out among the tombstones to sit down and drink booze. Also, a replica of the Helm mausoleum was constructed for the movie in which the bootleggers stored their moonshine. There is no written record, however, of these spirits raising other sprirts or sharing their company for the evening. The granddaughter of the novelist Ernest Hemingway came to Jackson in 1999 to write an article on the 1966 Candlestick Park tornado. While here she participated in a ghost tour in Greenwood cemetery, which was conducted and scripted by Jo Barksdale, much to the delight of a number of children. The most imposing monument in the cemetery looks eastward toward the rising sun. Edmund Richardson was fabulously wealthy, controlling more cotton land than anyone outside the country of Egypt. 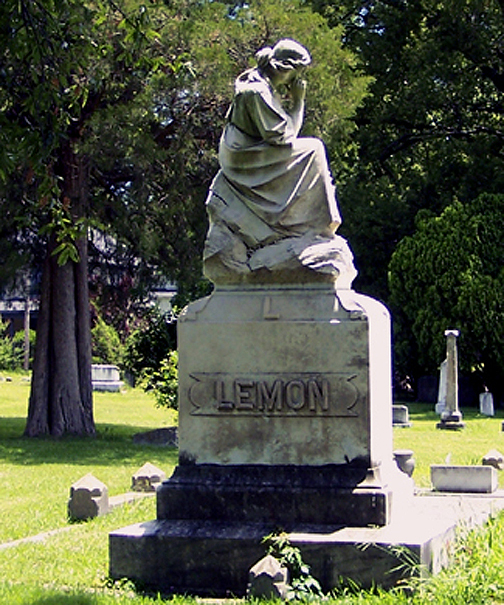 He died in New Orleans in an area made famous by Josh White’s folk ballad “House of the Rising Sun”. No one knows exactly to what extent the sun rose on that occasion, but it does make for fascinating speculation. Following his death his wife donated $5,000 to the church in his name. Perhaps this was a wise investment. 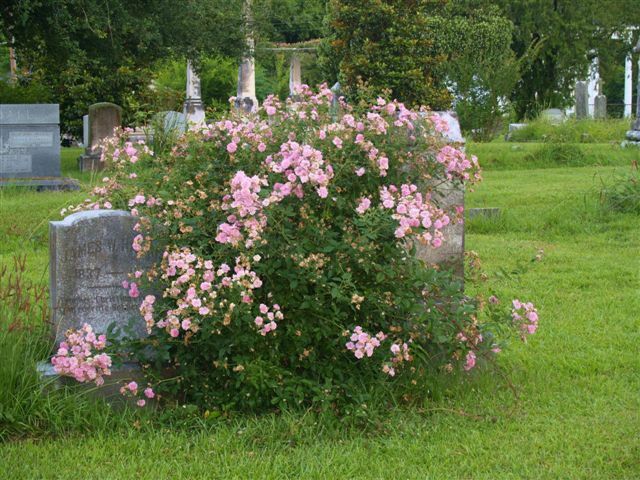 As you walk the paths of Greenwood cemetery, contemplate the rose shaded spirits around you. Feel their presence. You, like them, are part of our neighborhood’s heritage and its destiny. While our own lives are but a flash of light in the darkness of creation, the deeds of those who sleep around us endure forever. It is one final reminder that beauty is at our fingertips and that we are not alone. Naturally I had every intention of entering the contest in Laurel Street Park, but I was advised by a dear friend that as a food professional I am tacitly eschewed from entering such cordial amateur competitions, even to the point of my neighborly offering of a random preliminary judgement free of charge. So in lieu of more active and visible participation and in the utmost spirit of concord and rapport, I here offer a modest backstage contribution. 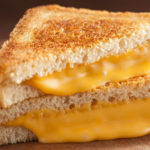 As stipulated by the contest rules—and yes, I did solicit (and receive) a copy—a grilled cheese is in some form or the other heated bread and cheese, and while starches are a widespread culinary commodity, cheese is not for the simple reason that the greater part of humanity is lactose intolerant. Most of the cheese-eating peoples are in the ‘northwestern’ quadrant of the globe, which has led some geneticists to theorize that the gene governing lactose tolerance is linked to that of blue eyes. This in turn has led other species of scientists to speculate both characteristics are evidence of sexual congress between Neanderthals and Cro-Magnons, but if you ask me that’s sheer projection on their part. Let’s start at ground zero, the American grilled cheese. 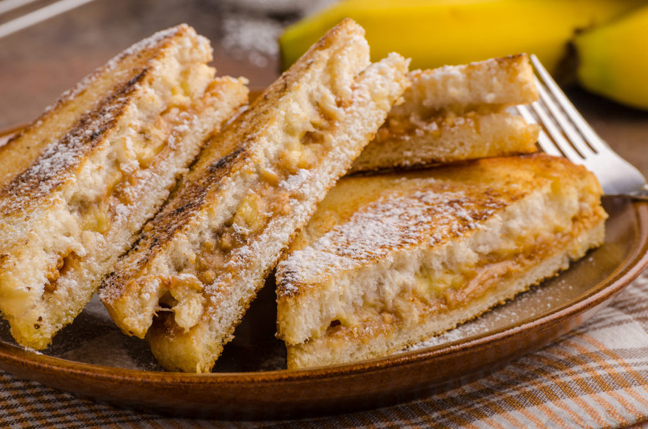 The classic American grilled cheese is simply a piece of American cheese layered between two pieces of white bread and then griddled with butter. In 1916, James L. Kraft obtained a patent for processed cheese that was easy to transport without spoiling or perishing. Soon slices of the cheap processed cheese was being grilled between slices of mass-produced white bread (Wonder bread was a frequent choice), and the dish became an essential companion to heated canned soups, particularly Campbell’s tomato. 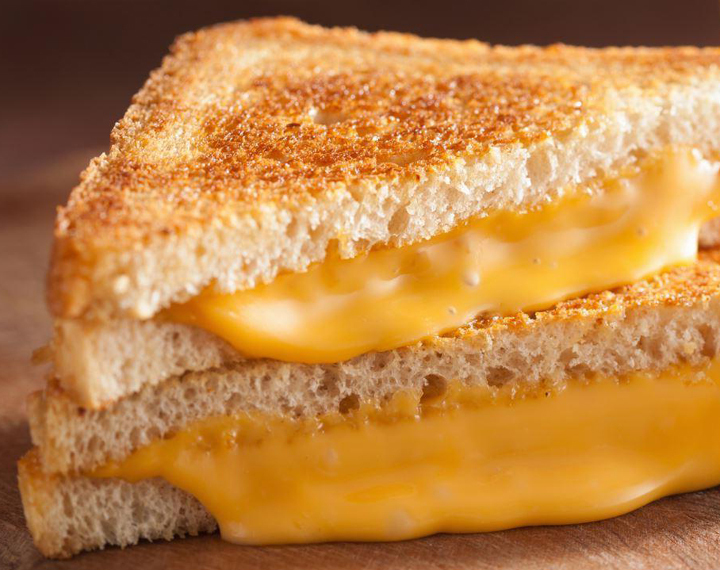 Though like any mass-produced/processed product the American grilled cheese has multitudes of detractors, it remains a favorite staple in households across the country. Across the Pond there’s Welsh rabbit, which is made not with conies but bread, cheese in a sauce and the always-welcome option of beer. 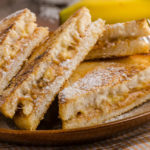 The most basic version involves thick slices of bread slathered in a thick cheese sauce made with Cheddar or some other substantial firm, off-white cheese with a slosh of your choice of beer (a good stout is excellent) and broiled. 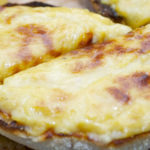 No one really knows any more how cheese on toast came to be called ‘rabbit’ or ‘rarebit’ (the variations in spelling seem to be arbitrary), but both Escoffier and Brillat-Savarin gave a recipe for ‘Lapin Gallois’ and a ‘Wouelsche Rabette’ first appeared in Antoine Beauvilliers’ L’Art du Cuisinier in 1814. Sometimes you just have to roll with the punches. 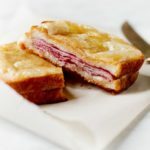 Traveling east across the Channel you find in France the croque monsieur, which is Gruyere cheese melted inside a ham sandwich, topped with a Bechamel sauce, more Gruyere and broiled. A version called croque madame is topped with a fried egg. The dish originated in French cafés and bars during la Belle Époque as a quick snack, the name based on the verb croquer (“to bite, to crunch”) and the word monsieur (“mister”). The sandwich’s first recorded appearance on a Paris café menu was in 1910 and the dish is actually mentioned in volume two (À l’ombre des jeunes filles en fleurs, 1919) of Proust’s epic À la recherche du temps perdu, a profound work which also happens to be a culinary mother lode. Then you have raclette, a semi-hard cow’s milk French cheese usually fashioned into a wheel of about 3 lb. that’s heated, either in front of a fire or by a special machine—you can buy a Swissmar KF-77045 Classic 8 Person Raclette (with granite stone top: red) for $120 on Amazon—then scraped onto diners’ plated bread. 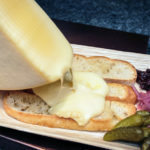 The term raclette itself derives from the French word racler, meaning “to scrape”. 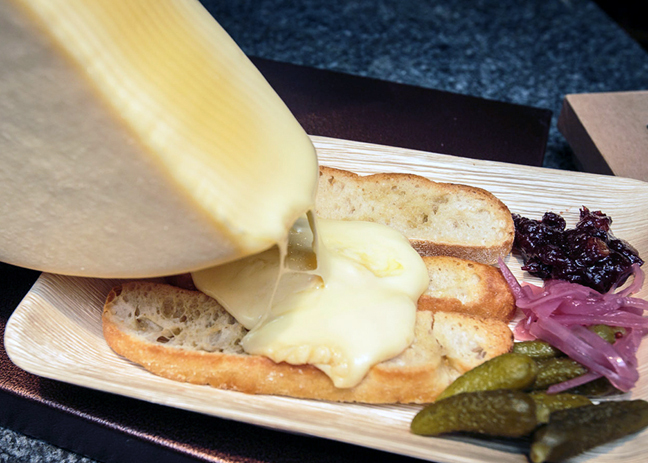 Raclette was mentioned in medieval writings in texts from Swiss-German convents dating from as early as 1291. The cheese was originally consumed by peasants in the mountainous Alpine regions of Valais (Switzerland), Savoie and Haute-Savoie (France). It was then known in the German-speaking part of Switzerland as Bratchäs, or “roasted cheese”. Traditionally, cow herders carried cheese with them when they were moving cows to or from mountain pastures and the cheese would be placed next to a campfire for melting. 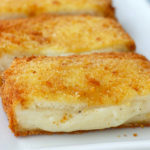 In Italy you have what is called mozzarella in carozza, which translates as “cheese (okay, mozzarella) in a carriage”. 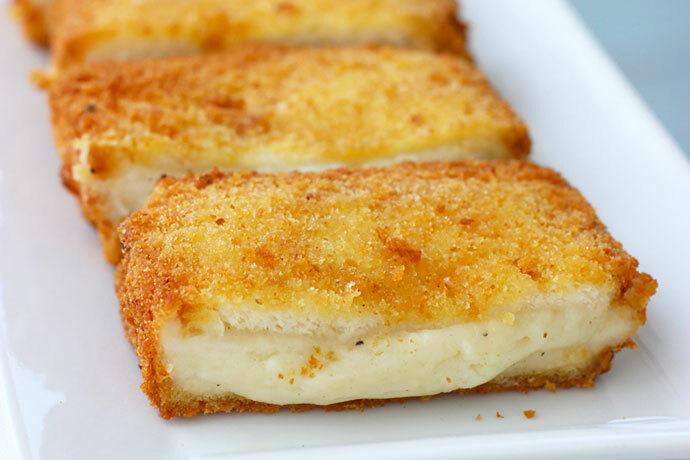 Sliced mozzarella is placed between sliced, crust-less white bread, dredged in a milk with beaten eggs and either pan- or deep-fried. 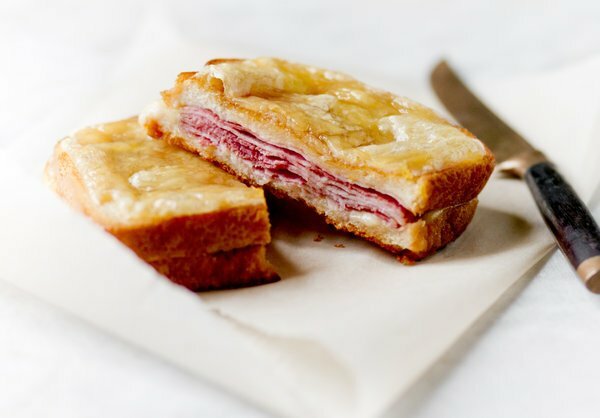 If you ask me, it’s the mozzarella in carozza—NOT the croque monsieur that’s the undoubted precursor of that classic old diner specialty, the Monte Cristo sandwich, which employs the exact same procedure and ingredients with Swiss cheese and sliced ham or turkey. I substantiate this claim for the simple reason that the Monte Cristo’s origins can be traced to New York City, which has always boasted a great many people of Italian descent and Monte Cristo itself happens to be in Livorno. A grilled cheese in Sweden (sounds like a Vonnegut title, doesn’t it?) is called a varm macka, which simply means “warm muck”. Some of you might recoil at such nomenclature, but let me be the first to assure you that when it comes to culinary terminology, “muck” is small potatoes indeed. For the most part, Swedish sandwiches—called smörgås—are open-faced, and even most simple cheese sandwiches are made open-faced and eaten cold. 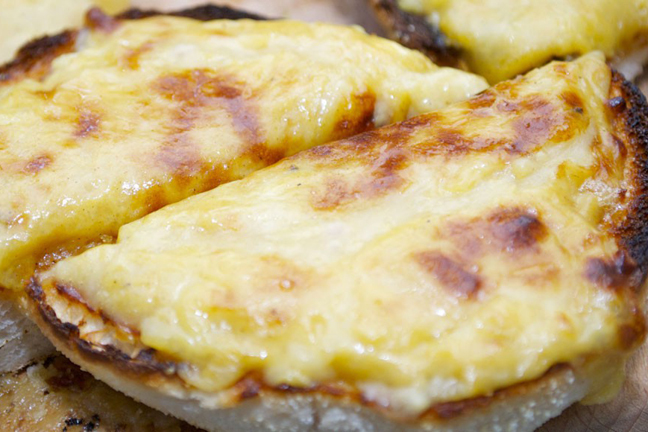 But a varm macka is cheese, not Grevé or Herrgårdsost as you might suspect but rather Gouda (Dutch) or Swiss, sliced, placed on buttered bread and heated in the oven. Back to the New World and across the Rio Grande is the quesadilla, a tortilla, usually a flour tortilla but sometimes corn, filled with cheese and grilled. 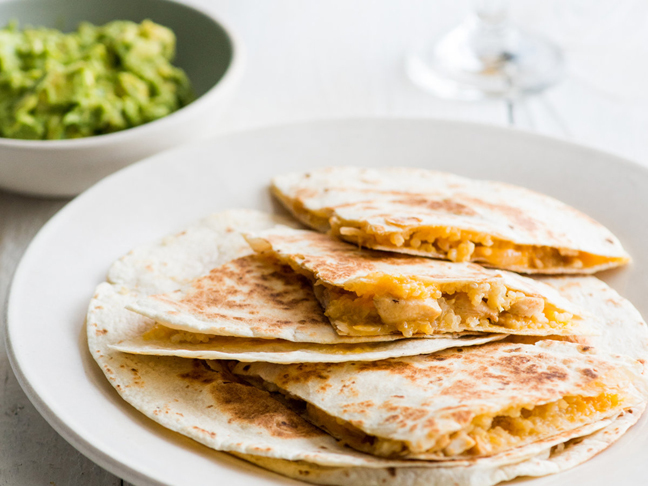 A full quesadilla involves two tortillas filled with cheese, stacked and heated, halves are a single tortilla filled with cheese and folded into a half-moon shape. Mexican quesadillas are traditionally cooked on a comal, which is also used to prepare tortillas. 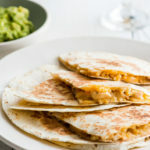 They are usually cooked without oil, but quesadillas can be fried to make quesadillas fritas, While Oaxaca (or string) cheese is the most common filling, other ingredients are also used in addition to the cheese, including cooked vegetables, such as potatoes with chorizo, squash blossoms, mushrooms, epazote, huitlacoche, and different types of cooked meat, such as chicharron, tinga made of chicken or beef, or cooked pork. Avocado or guacamole, green or red salsas, chopped onion, tomato, chiles, and cilantro are the most common toppings. Farther south in Venezuela is the arepa de queso, a stuffed corn cake made from masa flour and then cooked on a cast iron skillet. 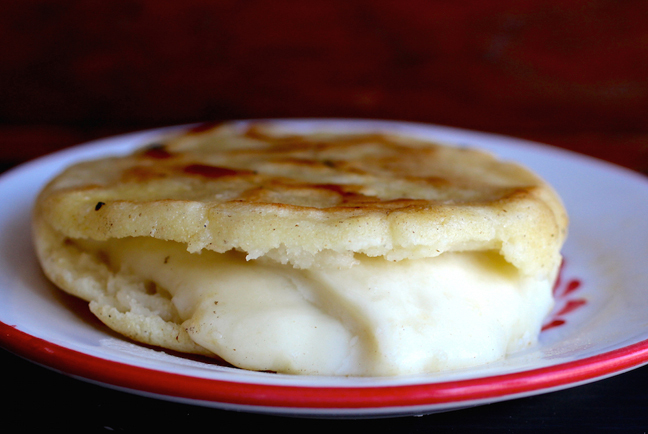 The arepa is filled with local farmer’s cheese (mozzarella is a viable substitute) and then griddled again. Thee word arepa comes from “erepa” which means corn bread in the language of the indigenous people of Venezuela and Colombia. 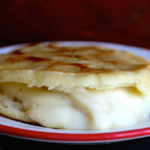 Early arepas were made with cassava (or yucca) flour as well as corn. Finally, in Brazil you have a fascinating dish called the bauru. The traditional recipe calls for cheese (usually mozzarella) melted in a bain-marie, slices of roast beef, tomato and pickled cucumber in a French bun with the crumb (the soft inner part) removed. 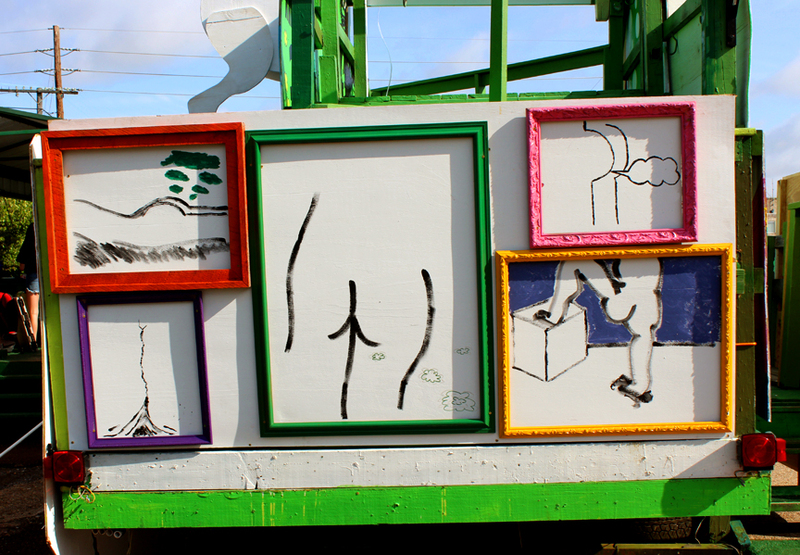 The bauru’s origins are actually well documented. In 1934, a student at the Faculdade de Direito do Largo de São Francisco, in São Paulo, Casemiro Pinto Neto (known as Bauru for coming from the city of the same name in São Paulo state), entered Ponto Chic, a traditional eatery and student hangout, and asked the cook to prepare a sandwich from his specifications. 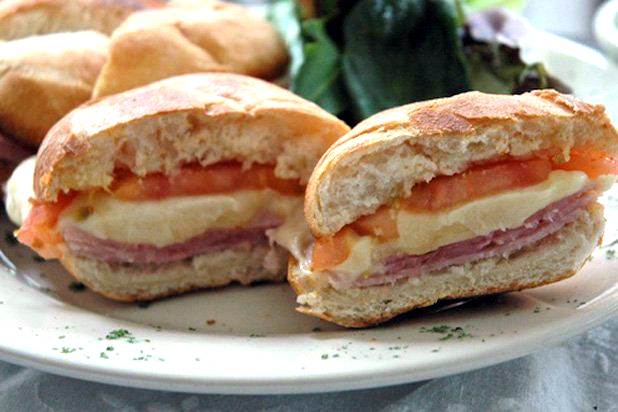 “Bauru’s Sandwich” was an immediate hit, and eventually became the best-selling dish at the place. 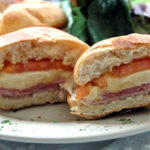 Many other eateries offer sandwiches named bauru with different combinations of ingredients—using sliced ham instead of roast beef or sliced bread instead of French bread. The city of Bauru eventually named the traditional bauru as the city’s official sandwich, codifying the recipe in a municipal law and instituting an official certification program. In closing, I do hope the weather proves fair enough to hold the competition and wish the best of luck to all the contestants. I am sorry I cannot take part in the Laurel Park competition because my Aunt Myrtle in Little Rock had a mild heart attack, and I have to drive her brother—my uncle—up there to take care of the old bat. You just would not believe the ruckus she made over him having to stay at her house, too like Emery could afford a motel, not that he would stay at one. Not over night, I don’t think. Anyway, I wanted to be there. I had it all worked out, was going to speak on “Grilled Cheeses from Around the World” (croque monsieur, raclette, Welsh rabbit, quesadilla… ) for maybe thirty seconds then segue onto my own recipe, the inevitably prize-winning combination of buttered Bunny Bread and Kraft American singles toasted and sliced. I hope it’s a blast for everyone. Me I’ll likely be, driving up I-530 listening to Hank Snow cds. Emery said he had an illegitimate daughter in Pine Bluff, but I ain’t stopping for any of that. 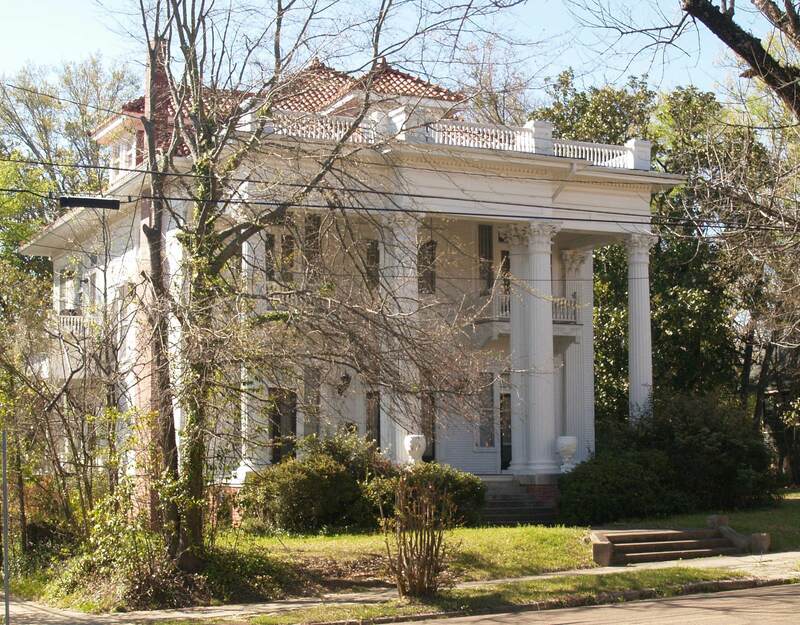 Today’s Belhaven Heights Historical District is one of Jackson’s most architecturally unique neighborhoods. 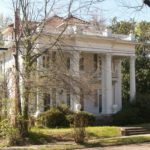 Situated on one of Jackson’s highest hills, it is known for its diverse architecture, terraced lawns and tree canopied avenues. Through the 1940’s and 50’s, the Belhaven Heights neighborhood grew eastward to its logical boundaries (Map 3). 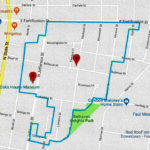 These boundaries have changed somewhat over the years but today are generally considered to be Fortification Street on the north, the old GM&O Railroad bed near Greymont Ave. on the east, Spengler Street on the south and North Street on the west. The actual neighborhood parameters are Fortification to High Street and State Street to I-55. 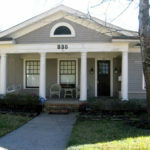 Belhaven Heights Historic District was initially listed on the National Register of Historic Places on November 28, 1983. A revision and amendment was put in place in 1998. 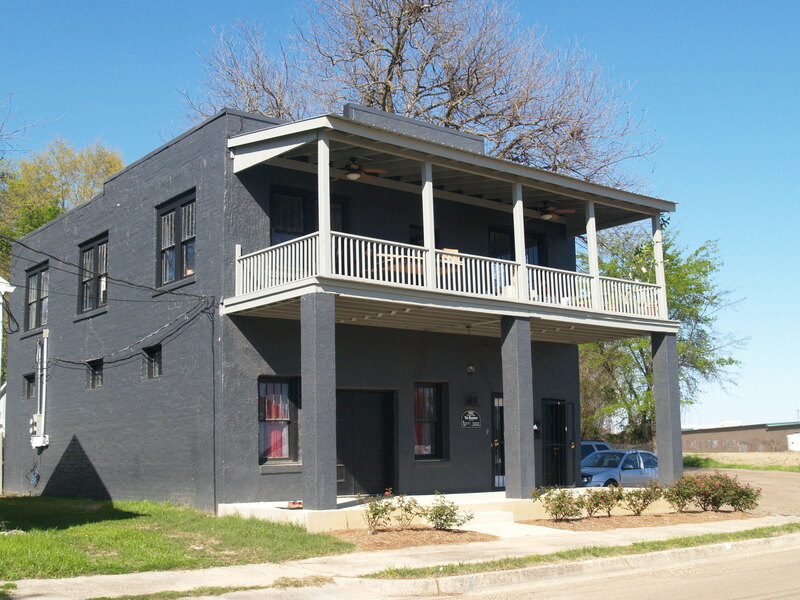 The historic district is located near the downtown core of Mississippi’s capital city. 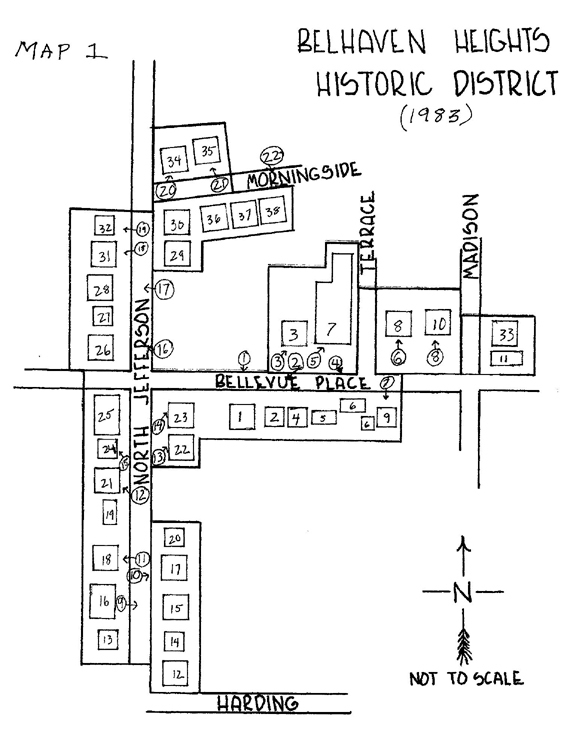 The neighborhood’s first historic district (1983) is shown on Map 1. This diagram shows residences along and on both sides of Morningside and North Jefferson Streets and Bellevue Place with Madison Street and Terrace Court also included in the district. The 1998 amended district, shown in Map 2, is generally bounded by Fortification Street on the north, southward along Quinn, and west to Monroe where it drops south to Harding and along the western edge of Belhaven Heights Park. 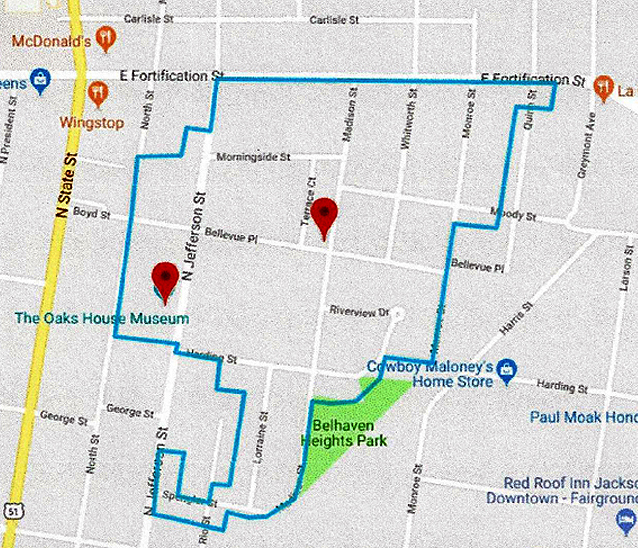 The boundary line continues to just south of Spengler and west to Jefferson, then north and west to North Street, then back to Fortification. 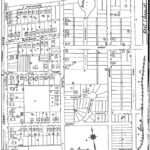 Belhaven Heights consisted of scattered parcels prior to the 20th century but the first subdivision (part 1) was platted March 29, 1905, by the Belhaven Heights Company, (A.J. Hackett, president). This was largely the area south of Fortification with a small part extending north of Fortification to Persimmon Street and covering the area east of Monroe and west of Greymont Ave.
Few structures remained in Jackson following the burning of the city during the Civil War. 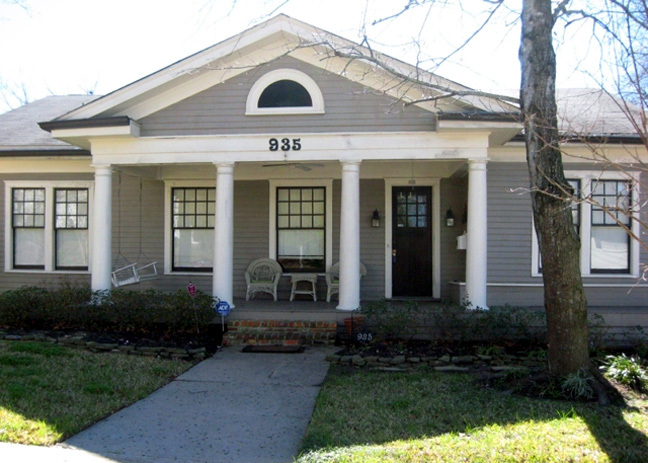 One of these is the Oaks, located at 823 N. Jefferson Street (part of Belhaven Heights), a Greek revival cottage built in 1853 by former Jackson Mayor James H. Boyd (1809-77). Today it is a museum and the property of the National Society of the Colonial Dames of America in Mississippi. Boyd, a Kentucky native, came to Jackson in the 1830’s, was mayor of Jackson for four terms and served at least six terms as alderman including the years when the American Civil War raged through the city. Much of the land area that is now Belhaven Heights was part of the vast Edwin Moody Estate. The family land and residence was located in the area bounded by Morningside, Madison, Boyd and N. Jefferson Streets. In 1875, there was only one other residence in the Heights area. This entire block of property was sold to Col. James Hamilton for his residence he named Belhaven for his Scottish ancestral home. 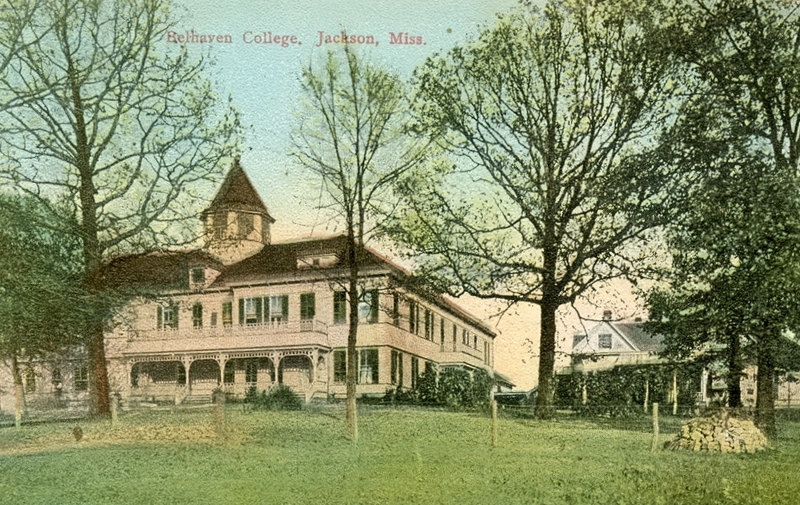 Col. Hamilton sold his home to Dr. Louis Fitzhugh in 1894 for the establishment of the first Belhaven College which is described in detail in the history of Belhaven. Other early land owners and developers in Belhaven Heights were J.B. Harris, J.C. Smith, W.J. Brown, Miller & Greaves, A.J. Hackett, Gilbert Hemmingway and Edward W. Crane. As Jackson grew and new streets added, some of the thoroughfares in Belhaven Heights acquired new names. According to the 1925 Sanborn Fire Insurance Company map, the 900 block east of Boyd Street became Bellevue (for the college). It achieved notoriety later as Judges Hill. 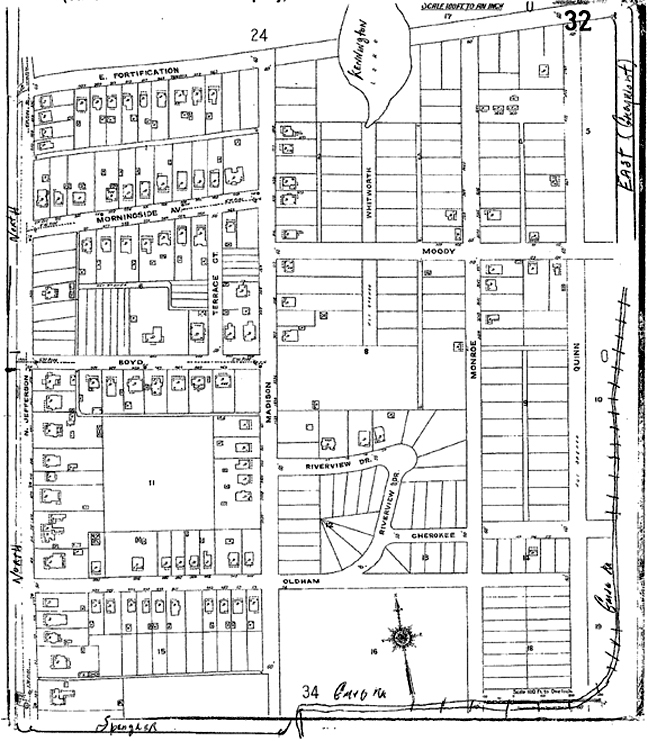 Oldham Street became Harding, Rhodes Street became Rio, Greymont Avenue south of Fortification was known as East Street and the 1100 block of Riverview was Cherokee Street. George Street, named for U.S Senator James Zachariah George, was formerly known as Penitentiary Street as it ran to the north of the state penitentiary which occupied the land where Mississippi’s New Capital Building stands today after its construction in 1903. 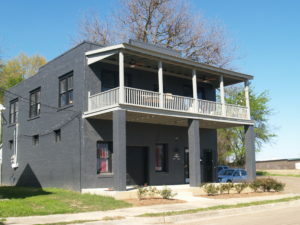 Throughout the years Belhaven Heights has remained a largely residential area with its only early commercial establishment being the old Gulf, Mobile & Ohio Railroad beanery at the intersection of Spengler and Madison streets. 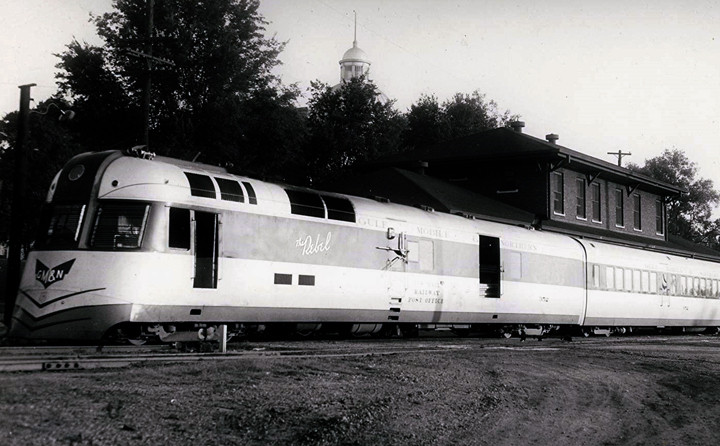 More on this structure, its colorful history and the railroad itself will be discussed in a later section. Homes in Belhaven Heights grew eastward from North State Street where early prominent Jackson citizens built their residences after the Civil War. Sadly, far too many have succumbed to the wrecking ball of progress. 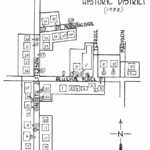 In the early 20th century young professionals built several blocks east of State on North Street and names in city directories of the time will be familiar to students of Jackson history. Home construction was sporadic and lots were large with few houses situated on a given block. These blocks filled in later as the neighborhood population increased. The Oaks at 823 N. Jefferson Street, former home of Jackson Mayor James H. Boyd, is the oldest residence in Belhaven Heights (1853) and one of the few structures that survived the Civil War. It is also the best known for several historic reasons one of which we will soon see. There was another nearby area that is renowned as well. This is the 900 block of Bellevue Place known throughout its lifetime as Judges Hill. 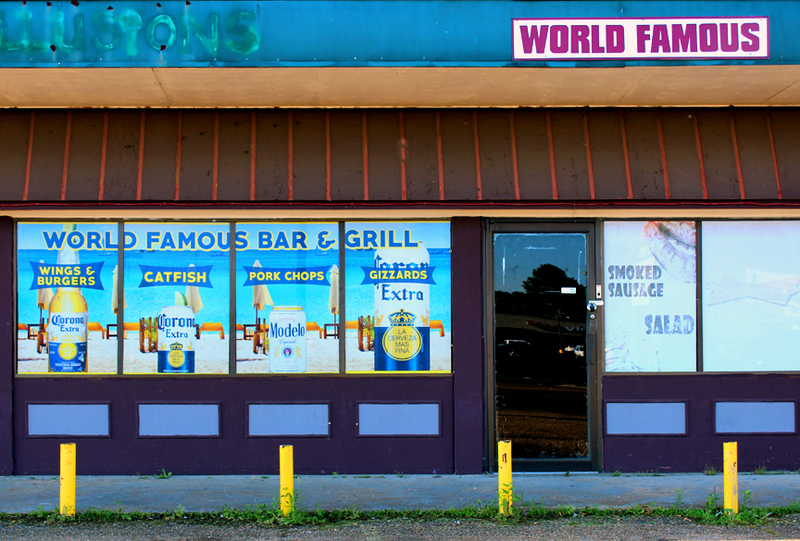 The 800 block of N. Jefferson is also considered by some as part of this nomenclature. Judges Hill was the home of six judges and one attorney in the early 1900’s. Most of these houses still exist. The primary “hill” peaks at the intersection of Bellevue and Madison streets where the observer looking eastward can see well into Rankin County. You can stand a few feet higher by walking up the incline of Terrace Court just to the west of Madison Street. and State Supreme Court Justice Sydney Smith, 855 (1923-24). Attorney J.A. Gordon resided at 857 N. Jefferson. All structures are still standing except at 948 Bellevue and 857 N. Jefferson. These are now apartment complexes. Other homes of interest in the district are the Lewis-Mack house at 901 N. Jefferson (ca. 1923-24) and the one story cottage at 909 Jefferson (ca. 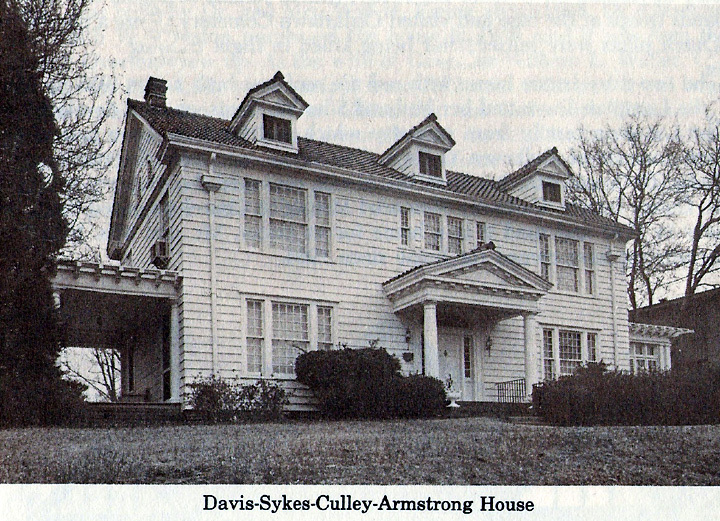 1912), which is listed in the 1985 Field Guide to American Houses (p. 457) as a prime example of an American Craftsman home. Persons interested in following the trail of property owners in the Heights from 1833 to 1905 are encouraged to consult the Abstract of Title to Belhaven Heights on file in the Mississippi Department of Archives and History. While upkeep of residences over 100 years old is a challenge there is much restoration taking place and a prime example of this will be discussed in a future installment of this history. 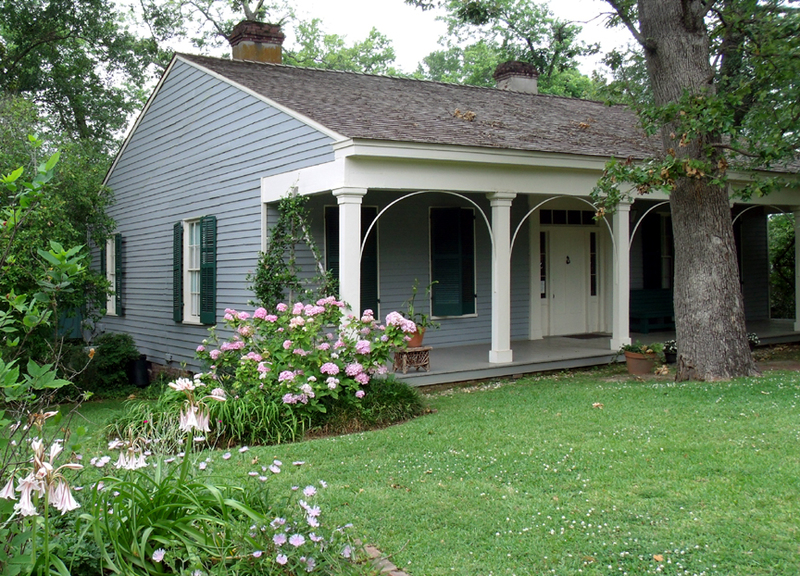 The Boyd Home (Oaks) is more than just a historic dwelling and museum. It has the distinction of hosting the nation’s first Memorial Day concept in April of 1865. 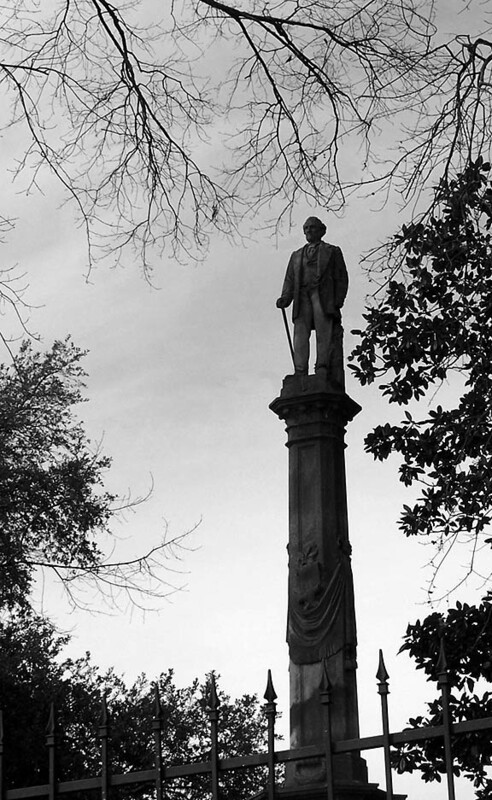 An accounting of this event was published in neighbor Jesse Yancy’s blog Mississippi Sideboard on April 23, 2015 and features an article authored by Greenwood Cemetery Association President Cecile Wardlaw based on research by local historian Peter Miazza. It is presented here in its entirety. “Widely acknowledged as the precursor of Memorial Day, widespread observance of a Declaration Day began shortly after the hostilities in the Civil War, when citizens began decorating the graves of fallen soldiers. “Many cities claim to be the home of this observance, including Waterloo, NY, Boalsburg, PA, Carbondale, IL, Columbus, GA, and much closer to home, Columbus, Mississippi. In their 2014 book, the Genesis of the Memorial Day Holiday, Dr. Richard Gardiner and Daniel Bellware state that according to the Veteran’s Administration, at least 25 cities across America claimed to have originated the Memorial Day holiday. While numerous historians feel that the true history may never be known, this book rejects that claim and explores the factual history of the holiday and shows that most of the better-known stories are mere myths and local legends; that being said, Jackson, Mississippi can lay verifiable proof that the first Declaration Day was held on April 26, 1865 in the historic Greenwood Cemetery in downtown Jackson..
“As the story goes, citizens of the Confederacy were well aware of the strategic importance of Appomattox; those in Jackson, Mississippi were already shaken by the fall of Richmond on April 4, 1865, and the news of Grant’s victory reached Governor Charles Clark some days later. In her diary his daughter recalled the telegram being passed around: ‘yes, it was all over. Lee had surrendered at Appomattox! Like a thunderbolt it fell on all of us. We were stunned. I remember feeling astonishment that we were not all dead’. 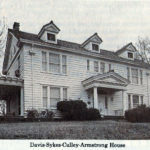 “Many if not most were already resigned to defeat and were shocked by the assassination of Lincoln less than a week later, so it was a somber group that assembled on Tuesday evening, April 25 at the Oaks, home of former Jackson Mayor James Boyd on North Jefferson Street. Just before midnight two couriers arrived with the news that Confederate Lieutenant General Richard Taylor and Union Major General E.R.S. Canby had agreed to a truce in Meridian, darkening the mood. Among them was Sue Langdon Adams, a Missouri native and niece of Mississippi’s Senator Robert Adams. A nurse, Sue had infiltrated Union lines bringing medical supplies back to Confederate forces and informing Confederate authorities of Union troop deployments. “When the news of the truce came, Sue was reading Plutarch’s Lives., where it’s mentioned that the graves of fallen soldiers are adorned with wreathes of laurel. Fearing that the reoccupation of Jackson was imminent, she tore out a blank page and penned an appeal to the women of Jackson to gather the next day at the city cemetery at two in the afternoon and adorn the graves of fallen soldier with flowers. One of the young couriers took the note and raced to the office of the newspaper, Mississippians, just in time for it to be printed in the next morning’s edition. “The next day, a large group of citizens gathered in the cemetery and soon nearly every soldier’s grave was covered with floral designs of every kind. Troops led by Colonel McFarland marched through the cemetery as the band played Handel’s ‘Dead March’ from Saul. As Adams moved through the rows of graves, she saw that some were unadorned and asked why there were no flowers on them. Told they were graves of Union soldiers, she replied, ‘I will garland them with my pink roses for the mothers and sisters who sobbed over them as they marched away. Maybe they fell in the riven flags in the battle of West Jackson’. Now you know the rest of the story and the story began in Belhaven Heights. Before leaving our visit with Peter Miazza we should take a look at one of the prominent family names of old Belhaven Heights. These were the Spengler’s who lived along the east side of the 600 block of N. Jefferson. Only one house remains, 646, the former home of Hubert Spengler, Sr.
Hubert Spengler was Peter’s paternal great-grandfather. 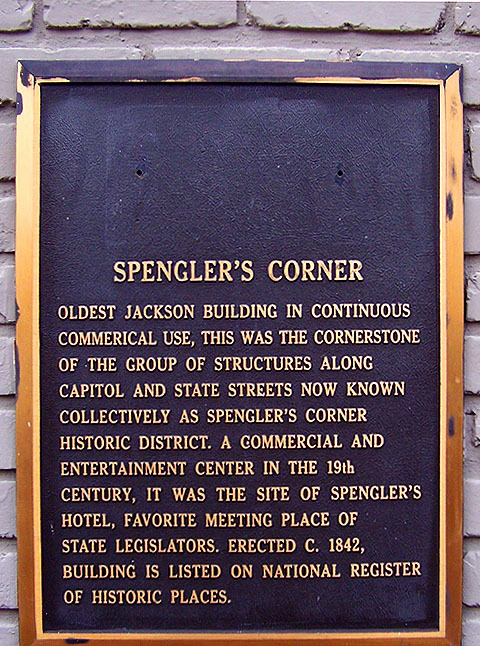 He operated several businesses but was best known for the office complex still standing at the northwest corner of State and Capitol Streets known as “Spengler’s Corner”. 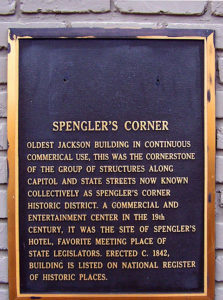 A plaque on the building reads, “Spengler’s Corner: Oldest Jackson building in continuous commercial use, this was the cornerstone of the group of structures along Capitol and State Streets now known collectively as Spengler’s Corner Historic District. 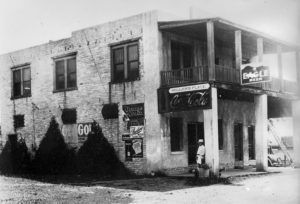 A commercial and entertainment center in the 19th century, it was the site of Spengler’s Hotel, a favorite meeting place of state legislators. Erected c. 1842, the building is listed in the National Register of Historic Places.” According to Peter Miazza, the hotel burned about 1906. There was only one commercial development in Belhaven Heights through its early years and that was the area which abutted the GM&O Railroad on the eastern boundary. This was no ordinary string of warehouses and outbuildings. It had a roundhouse, rail shops and a hotel with a ghost who we will meet in the next segment.